Compared to a regular human, the Earth is enormous. And compared to the Earth, the Universe is really enormous. Like, maybe infinitely enormous. And yet, Earth is the only place humans are allowed to own. 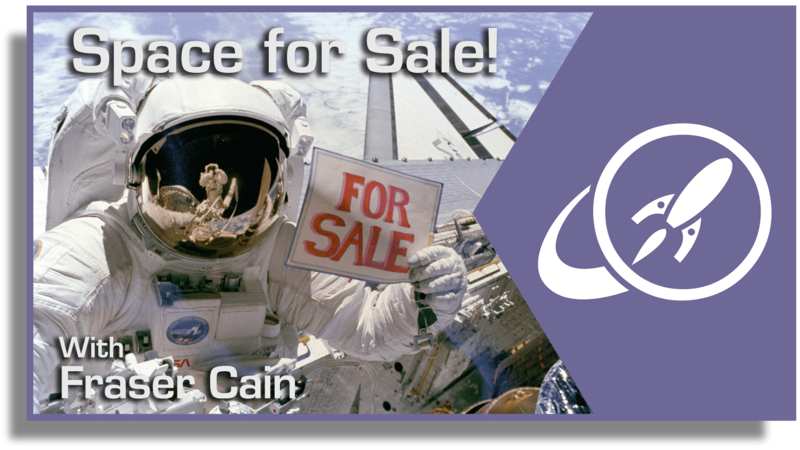 You can buy a plot of land in the city or the country, but you can’t buy land on the Moon, on Mars or on Alpha Centauri. It’s not that someone wouldn’t be willing to sell it to you. I could point you at a few locations on the internet where someone would be glad to exchange your “Earth money” for some property rights on the Moon. But I can also point you to a series of United Nations resolutions which clearly states that outer space should be free for everyone. Not even the worst rocky outcrop of Maxwell Montes on Venus, or the bottom of Valles Marineris on Mars can be bought or sold. However, the ability to own property is one of the drivers of the modern economy. Most people either own land, or want to own land. And if humans do finally become a space faring civilization, somebody is going to want to own the property rights to chunks of space. They’re going to want the mining rights to extract resources from asteroids and comets. We’re going to want to know, once and for all, can I buy the Moon? Until the space age, the question was purely hypothetical. It was like asking if you could own dragons, or secure the mining rights to dreams. Just in case those become possible, my vote to both is no. But when the first satellite was placed into orbit in 1957, things became a lot less hypothetical. Once multiple nations had reached orbitable capabilities, it became clear that some rules needed to be figured out – the Outer Space Treaty. The first version of the treaty was signed by the US, Soviet Union and the United Kingdom back in 1967. They were mostly concerned with preventing the militarization of space. You’re not allowed to put nuclear weapons into space, you’re not allowed to detonate nuclear weapons on other planets. Seriously, if you’ve got plans and they relate to nuclear weapons, just, don’t. Over the years, almost the entire world has signed onto the Outer Space Treaty. 106 countries are parties and another 24 have signed on, but haven’t fully ratified it yet. In addition to all those nuclear weapons rules, the United Nations agreed on several other rules. In fact, its full name is, The Treaty on Principles Governing the Activities of States in the Exploration and Use of Outer Space, including the Moon and Other Celestial Bodies. No country can own the Moon. No country can own Jupiter. No country can own a tiny planet, off in the corner of the Andromeda Galaxy. And no citizens or companies from those countries can own any property either. And so far, no country has tried to. Seriously, space exploration is incredibly difficult. We’ve only set foot on the Moon a couple of times, decades ago, and never returned. But with all the recent developments, it looks like we might be getting closer to wondering if we can own dragons, or a nice acreage on Mars. Perhaps the most interesting recent development is the creation of not one, not two, but three companies dedicated to mining resources from asteroids: Planetary Resources, Kepler Energy, and Deep Space Industries. Just a single small asteroid could contain many useful minerals, and there could potentially be tens of billions of dollars in profit for anyone who can sink robotic mining shafts into them. The three different companies have their own plans on how they’re going to identify potential mining targets and extract resources, and I’m not going to go into all the details of what it would take to mine an asteroid in this video. But according to the Outer Space Treaty, is it legal? The answer, is: probably. The original treaty was actually pretty vague. It said that no country can claim sovereignty over a world in space, but that doesn’t mean we can’t utilize some of its resources. In fact, future missions to the Moon and Mars depend on astronauts “living off the land”, harvesting local resources like ice to make air, drinking water and rocket fuel. Or building structures out of Martian regolith. Mining an entire asteroid for sweet sweet profit is just a difference of scale. In order to provide some clarity, the United States passed the U.S. Commercial Space Launch Competitiveness Act of 2015. This gave details on how space tourism should work, and described how companies might mine minerals from space. The gist of the law is, if an American citizen can get their hands on materials from an asteroid, they own it, and they’re free to sell it. As you know, SpaceX is planning to colonize Mars. Well, so far, their plans include building the most powerful rocket ever built, and hurling human beings at Mars, hundreds at a time. The first mission is expected to blast off in 2024, so this is quickly becoming a practical issue. What are the legalities of colonizing Mars? Will you own a chunk of land when you stumble out of the Interplanetary Transport Ship out on the surface of Mars? Right now, you can imagine the surface of Mars like a research station on Antarctica. If SpaceX, an American company, builds a colony on Mars, then it’s essentially US government property. Anything that happens within that colony is under the laws of the United States. If a group of colonists from China, for example, set out on their own, they would be building a little piece of China. And no matter what kind of facility they build, nobody within the team actually owns their homes. If you’re out on the surface, away from a base, everything reverts to international law. Watch out for space pirates! Under the treaty, every facility is obliged to provide access to anyone else out there, which means that members of one facility are free to visit any other facility. You can’t lock your door and keep anyone out. In fact, if anyone’s in trouble, you’re legally bound to do everything you can (within reason) to lend your assistance. The bottom line is that the current Outer Space Treaty is not exactly prepared for the future reality of the colonization of Mars. As more and more people reach the Red Planet, you’d expect they’re going to want to govern themselves. We’ve seen this play out time and time again on Earth, so it won’t be surprising when the Mars colonies band together to declare their separation from Earth. That said, as long as they’re reliant on regular supplies from Earth, they won’t be able to fully declare their independence. As long as they have interests on Earth, our planet’s governments will be able to squeeze them and maintain their dominance. Once a Mars colony is fully self sufficient, though, which Elon Musk estimates will occur by 1 million inhabitants, Earth will have to recognize a fully independent Mars. Space law is going to be one of the most interesting aspects of the future of space exploration. It’s really the next frontier. Concepts which were purely theoretical are becoming more and more concrete, and lawyers will finally be the heroes we always knew they could be. If you’ve always wanted to be an astronaut, but your parents have always wanted you to be a lawyer, now’s your chance to do both. An astronaut space lawyer. I’m just saying, it’s an option.